Ergoline Commercial Furniture has been an affiliate member of Australian Hotels Association WA (AHAWA) for several years. AHAWA represents more than 80% of the hotel and hospitality industry in WA. Ergoline Commercial Furniture is also an accredited partner of Silver Chef. Please contact us to see how we can assist. Looking at starting or growing your hospitality business? Speak to Insight Hospitality and see how they can assist new and experienced business owners in establishing and growing thriving business from ground up, or at any step along the way. 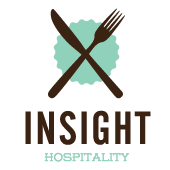 Check out the Insight Hospitality Brochure.